Last week I had a lovely experience. I visited the Hamilton Observatory and Zoo as part of a Statistics excursion with the Year 13 statistics class of Papamoa College. The trip was organised to help students learn about where data comes from. I went along because I really love teachers and students, and it was an opportunity to experience innovation by a team of wonderful teachers. 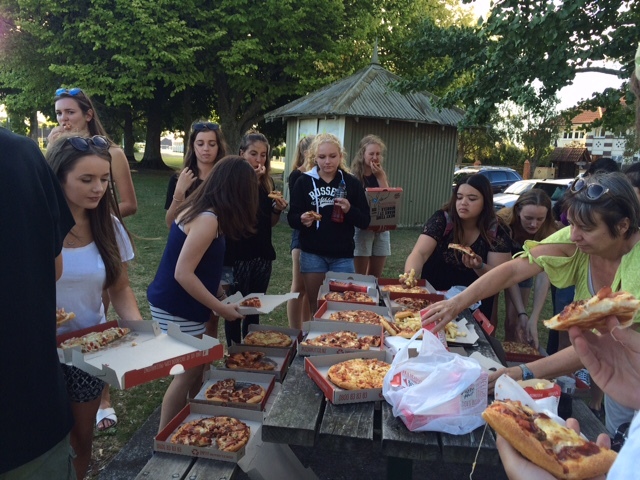 The students travelled from Papamoa to Hamilton, stopping for pizza in Cambridge. When we got to the Hamilton Observatory, Dave welcomed us and gave an excellent talk about the stars and data. I found it fascinating to think how much data there is, and also the level of (in)accuracy of their measurements. I then gave a short talk on the importance of statistics in terms of citizenship, and how the students can be successful in learning statistics. I talked about analysis of the Disney Princess movies and the Zika virus. The next morning we went over to the Hamilton Zoo for breakfast followed by a talk by Ken on the use of data in the Zoo. That too was fascinating, and got my brain whirring. Zoos these days are all about education and helping endangered species to survive. They have records of weights of all the animals over time, making for some very interesting data. Weights are used as an indication of health in the animals. Ken shared pictures of animals being weighed – including tricky keas and fantastically large rhinos. The Zoo also collects a wide range of other data, such as the visitor numbers, satisfaction surveys, quantity of waste and food consumption. We visited the food preparation area and heard how the diets are carefully worked out, and the food fed in such a way as to give the animals something to think about. 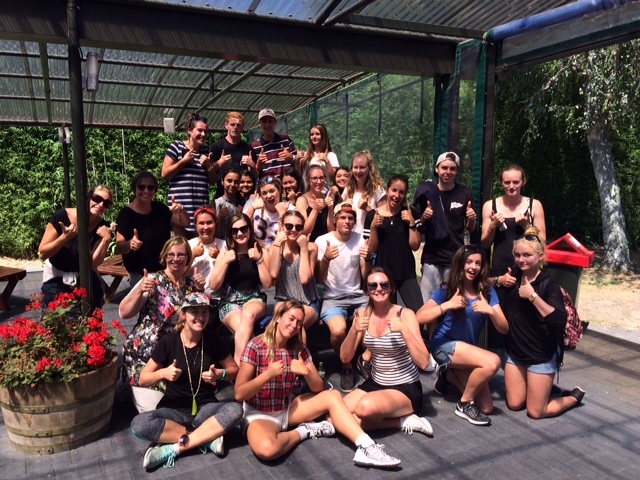 Dr Nic and the teachers and students of Papamoa College give statistics two thumbs up! Though most of my work these days is in the field of statistics education, a part of my heart still belongs to Operations Research. I saw so many ways in which OR could help with things such as diets, logistics etc. I’m not saying that they are doing anything wrong, but there is always room for improvement. Were I still teaching OR to graduate students I would be looking for a project with a zoo. and talk to many about the assignments they will be doing throughout the year. Each student has the opportunity to choose an application area for the multiple assessments. I was impressed with their level of motivation, which will lead to better learning outcomes. Well done team at Papamoa! How fun! I’ve been plotting for a while (pun intended) how to engage local students in applied stats via excursions such as bushwalking, museum visits and turtle rehab volunteering. Now I’m gonna do it cause I’m jealous much you’s are out there doing it! Hi there, my name is Melissa and I’m the reporter for the Education Gazette. I’d like to get in touch with you for an article we’re doing on maths at Hamilton Zoo – what is the best email address for me to use? Many thanks. n.petty@statsLC.com is great. Look forward to hearing from you.